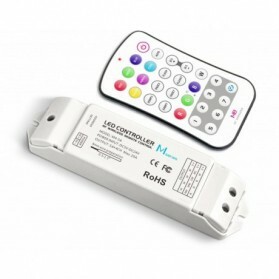 The LED Dimmer Remote RF Mini 1 uses a Radio Frequency signal at 433.92 MHz and can reach about 40-50 meters. LED Strips can be easily dimmed with the touch remote. The 3x3A LED Receiver RF Mini is included with this product. 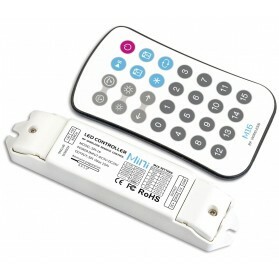 The LED Dimmer Remote RF Mini 2 uses a Radio Frequency signal at 433.92 MHz and can reach about 40-50 meters. 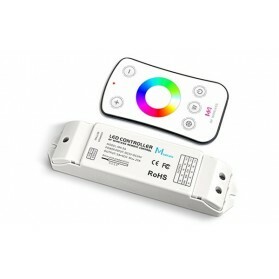 This remote control is suitable for LED strip with two colors or two separate Single Color LED Strips. LED Strips can be easily dimmed with the touch remote. 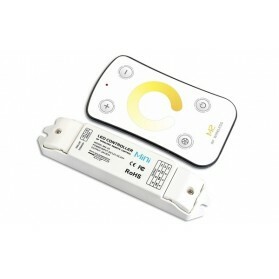 The LED Dimmer Remote RF Mini 3 comes along with 3x3A LED Receiver RF Mini. 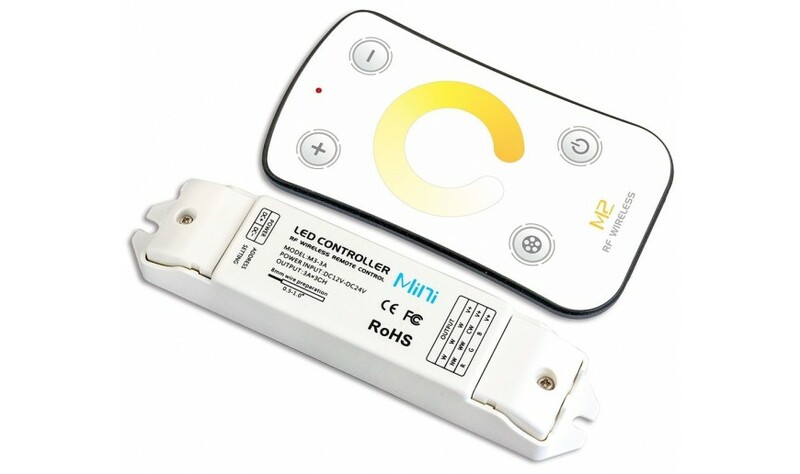 The LED Dimmer Remote RF Mini 3 uses auses a Radio Frequency signal at 433.92 MHz and can reach about 40-50 meters. The remote control touch is suitable for RGB LED Strips. LED Strips can be easily dimmed with the touch remote. 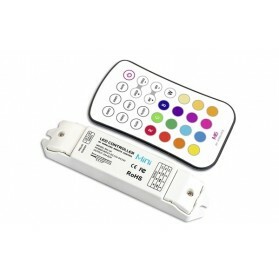 The LED Dimmer Remote RF Mini 3 comes along with 3x3A LED Receiver RF Mini. The LED Remote RF Mini 4 uses a radio frequency signal at 433.92 MHz and can reach about 40-50 meters. This remote control touch is suitable for RGB-W LED Strips. LED Strips can easily be dimmed with the touch remote. 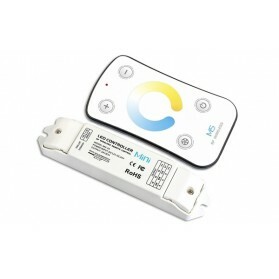 The LED Remote RF Mini 4 comes along with 4x5A LED Receiver RF Mini. 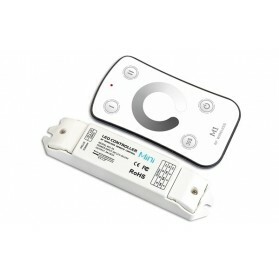 The LED Dimmer Remote RF Mini 5 uses a Radio Frequency signal at 433.92 MHz and can reach about 40-50 meters. With this variant from the M serie you can control LED Strips like the Adjustable White LED Strip. You can adjust the color temperature very easily. 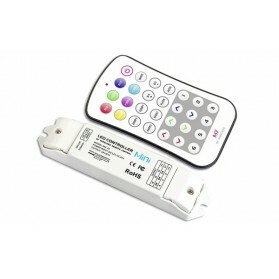 The LED Dimmer Remote RF Mini 5 comes along with the 3x3A LED Receiver. 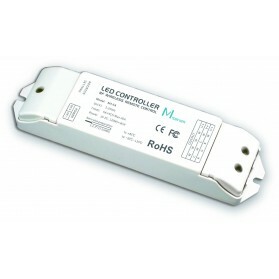 The LED Dimmer RF Remote Mini 7 uses a Radio Frequency signal at 433.92 MHzand can reach about 40-50 meters. You can easily generate various color effects with this variant from the M serie. The remote control touch is suitable for controlling RGB LED Strips. 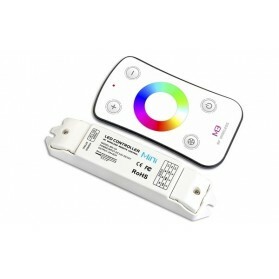 The LED Dimmer RF Remote Mini 7 comes along with the 3x3A LED Receiver. The Mini-16 SPI controller is able to drive a large number of different DiGi LED strips. With the supplied remote you can select one of the 16 pre programmed effects.